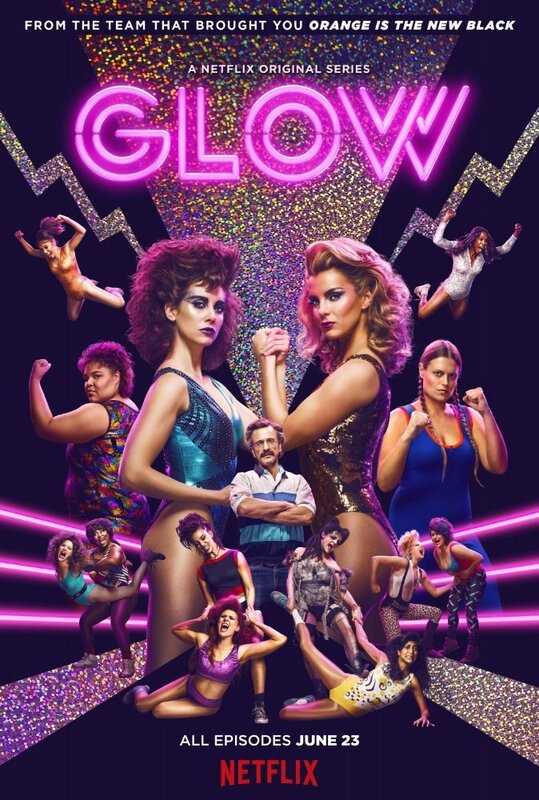 It took me seven episodes to realize GLOW is an absolutely fun show to watch. It takes every actress in it, which was very important, to stretch out their acting ability and try out wrestling techniques, which I must say, were quite fascinating. It’s however not the best idea Netflix came out with, but certainly was refreshing and something new to watch for both male and female audiences. As there are many characters to talk about, GLOW at the beginning hesitates to unveil all of them fully. It literally waited six episodes to breathe life into them, which in the end, was worth it. Series created by Liz Flahive, which is scheduled to celebrate its premiere on Netflix, lets women to take the podium and even pedestal to showcase the versatility of written characters. However, there are some stereotypes that might, and in some cases, will annoy the audience where the viewer will have to watch staged fight of “Arabian terrorist” and the fight against American and Russian women wrestler. While some lines offered can be considered as offensive and unacceptable, it seems GLOW had no issues with that, as it continues using this approach the whole season. But there are some rewarding scenes, which were worthwhile waiting. Last four episodes of GLOW were as good as they could get. It had drama, was action packed, and showed unity between the group of women which was admirable. Debbie, played by Betty Gilpin and Ruth Wilder portrayed by Alison Brie create stunningly rich characters whose rivalry is memorable and even believable. Throughout season one, both characters will have to go through challenging relationships where one must admit one hundred percent at fault of destroying a family, while the other one to continue punishing for the very same reason. Having said that, GLOW is the series that will be appreciated by mainly the male audience while the female part can find themselves a bit puzzled. But overall, it’s a guilty pleasure to watch the series about women wrestlers, to get insight into such a majestic sport, which I literally have discovered for myself after watching, if I allow myself to repeat, last four episodes of the show, which were absolutely outstanding.